Over half of the district drains through this pipe to the Mississippi River. The Beltline Interceptor is a large storm sewer pipe system constructed in 1920 and now maintained by the District. It collects a large percentage of stormwater runoff from St. Paul’s east side, and also conveys runoff from the entire Phalen Chain of Lakes subwatershed and the Beaver Lake subwatershed to the Mississippi River. The total drainage area to the Beltline Interceptor is over 17,800 acres (27.8 square miles). The Beltline Interceptor is approximately five miles long, extending from the outlets of Lake Phalen and Beaver Lake to the Mississippi River. 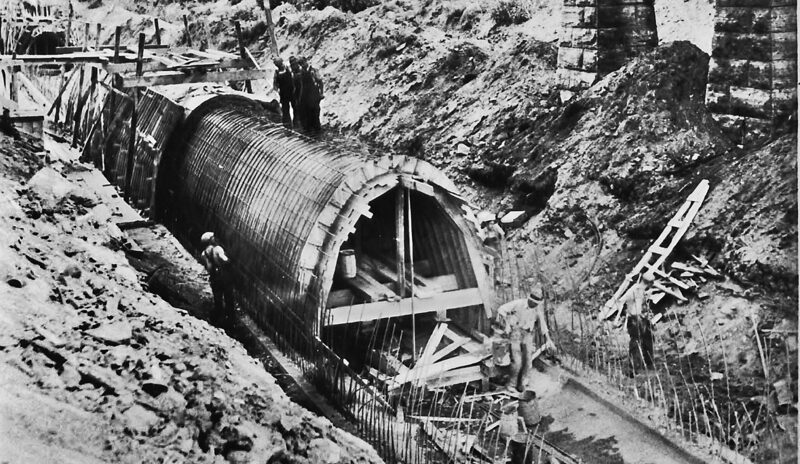 Large sections of the Beltline Interceptor are cast-in-place concrete “horseshoe” pipe, with heights of 7 to 12 feet, and buried up to 30 feet underground. In 1996, ownership and operation responsibility for the Beltline Interceptor outlet and the pipeline itself was officially transferred to the District from the City of St. Paul and the Metropolitan Council, respectively. 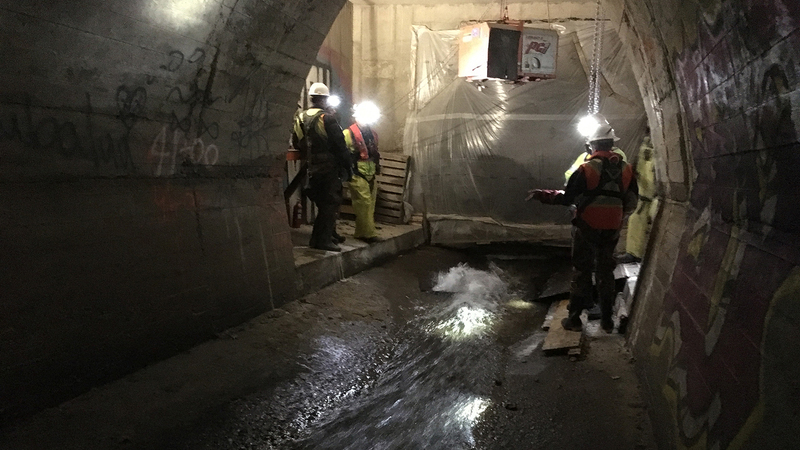 This project serves as an overflow for the Beltline Interceptor to reduce hydraulic pressure and increase capacity of certain pipe sections. The primary outlet of the Beltline discharges into the Mississippi River, and this secondary outlet discharges into a channel/wetland system that leads to Pigs Eye Lake. We collect regular water samples from the Beltline Interceptor for the Metropolitan Council’s Water Outlet Monitoring Program. This helps track long-term trends in chloride, e. coli, temperature, conductivity, pH, phosphorus levels and other attributes of surface water runoff. 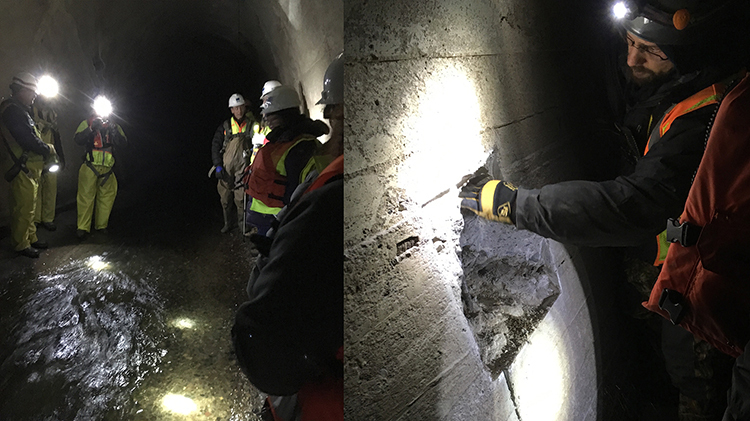 In the winter of 2015-16, District and engineering staff completed a thorough interior inspection of the Beltline Interceptor pipe system along with the nearby Battle Creek pipe system. Extensive repair work was completed in 2018 with ongoing maintenance planned for the coming years.